If the final steps of your jewellery making journey is to sell your creations, then building a brand for your business - no matter how small, cannot be over-looked. Branding plays a huge role in enabling your creations to be desired and reach that perfect customer! It helps to make all the hard work, love and attention that went into creating your designs pay off. In this blog post we talk to talented jeweller Tegen Foote about how she created her brand and the challenges she faced. 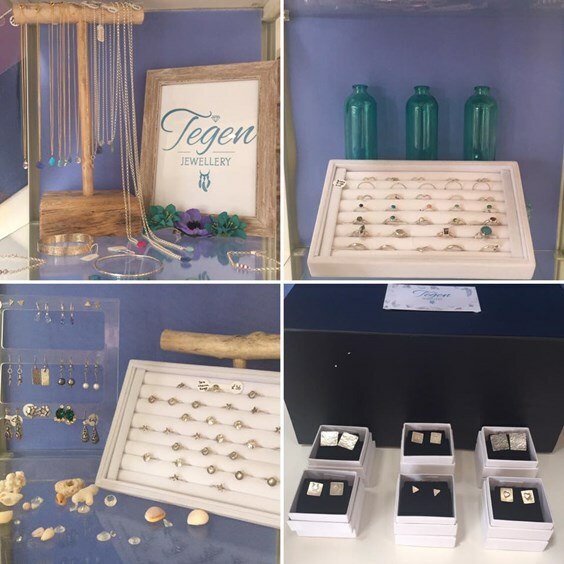 Tegen is the owner, designer and maker at Tegen Jewellery and over the past two years has built her passion of jewellery making into a successful business. 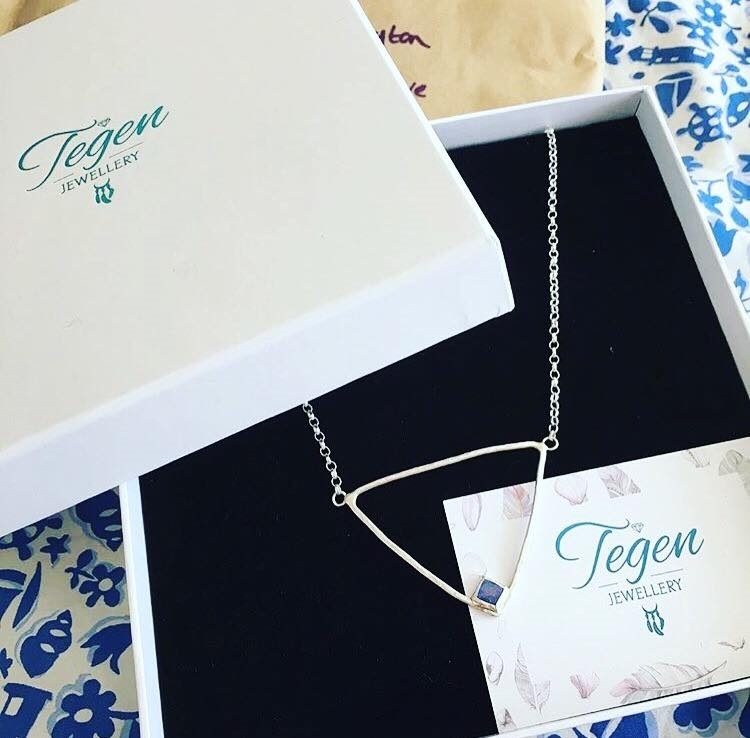 Tegen has a unique style that is not only reflected through her jewellery but through her branding too. We also add our own knowledge and insight into the subject and share our best tips when it comes to creating a coherent brand that will resinate with an audience. How Did You Turn Your Jewellery Making Into A Business? I have always had a passion for design and creating. I am lucky to have been inspired by my parents - my mum for the fine art and graphics side and my dad for the engineering and manufacturing side, jewellery seems to have developed as a mix of the two! In 2001 I decided to study a National Diploma in Art and Design at Truro College - specialising in 3D design in my second year. I found that I enjoyed working with metals and started experimenting with different techniques. After the Diploma I took a year out hoping to find an apprenticeship with a jeweller but unfortunately I was unsuccessful, so instead I signed up for multiple evening classes and an FDA course in Jewellery and Silversmithing. I made odd bits for people over the next seven years under a brand I created but worked in other jobs to make a living. However, after a couple of minor life changing events and changes of plans I decided to really invest in my jewellery business, re-brand the company and get stuck in to building my business in to my career. How Did You Go About Creating Your Brand? I thought about how jewellery is a very personal item - it has meaning and so I wanted the brand around my jewellery to represent the feeling and style of my work. Growing up on the beaches of Cornwall I’ve always been fascinated with mermaids and the colours of the sea and I am a little obsessed with shiny things. Because of this my style is very boho / beach inspired. I needed a logo that would reflect me and my style so my first step was to ask a very talented graphic designer friend of mine to create me a logo. I explained in detail about my style or work, my favourite colour etc. What he came back with was perfect. The next step was to create the business cards and website. I found a web designer that understood what I was after, I drew each page of the website in a sketchbook - I wanted it to be unique, shopable and again set to my style. I then got help to photograph every piece of Jewellery I had made up and I spent the next few weeks learning the behind the scenes of the website and uploading content. It’s pretty exciting watching it all come to life! How Do You Ensure Your Brand Comes Across To Your Customers? I am very picky on everything! My packaging has taken me ages to get right and there’s still little bits that I’d like (i.e. turquoise box inserts that don’t cost the earth!) but I think consistency between packaging, web design any displays and all forms of social media is very important, it all has to flow together. Also, my hallmark, I am very proud to have my own hallmark that the assay office apply to my work. The Hallmark represents quality and for my work to be stamped with this completes it and gives customers piece of mind that they are buying something precious. Do You Think Having A Coherent Brand Contributes Towards Sales? Definitely, people are drawn to your style through your branding and marketing. As long as what you produce is consistent and of good quality people will always find what is right for them and their style. It is so much easier now with the use of things like hashtags to filter the stuff you aren’t interested in and find the treasure you want. Do You Have Any Branding Advice For Anyone Wanting To Turn Their Jewellery Making Into A Business? Be yourself, find your own style and go with it! Don’t go trawling through the internet looking for ideas that have already been created - go outside and explore the world and be inspired by whatever catches your eye. Follow fashion channels to see what styles, colours and themes will be “in” for next season, go to galleries and fashion shows, get involved with anything and everything that feeds your creative side. Most importantly make things that you love making, if you like it - the chances are that other people will too! To browse Tegen's website and view all of her wonderful creations click here. We couldn't agree more with the tips and advice Tegen has given. The way in which she has gone about creating a brand that comes across in everything she does is key to business growth. A 'brand' encompasses a wide range of aspects related to communicating your business effectively. It is not only the look and style that you choose to have, but it is the feel, the personality, the values and the 'tone of voice' that is used. A brand is there to create an instant connection with an audience. It can tell them so many things without explicitly saying it. A brand is something that allows a customer to choose your business over someone else's. It is there to create trust and resonate with someones values and likes. Creating some 'brand' guidelines' is a great place to start when it comes to starting your brand. Think about how you want your business to come across - its values, its personality, its style, and its tone of voice. When you have created these guidelines you can refer to them with everything you create - from the look of your website and the photographs that you take to the sound of your social media posts.